In early 2010 I lived in a tiny apartment in New York and either ate out or ordered food almost every single day. I ordered groceries from PeaPod on occasion, but I pretty much only used that to get cases of Diet Coke delivered to my door. Most nights I was miserably in the office and so I became very familiar with ordering food through Seamless. At this time, the most I ever cooked was probably making instant noodles (hello shin ramen!) and quesadillas (microwaving tortillas and cheese). Later that year I made a big job and location move and decided it was time to revamp my eating. I love food. I get such enjoyment out of eating and I love huge meals that take forever to eat so I can prolong the joy. While I work less crazy hours than I did at my old job, I still work full days and so preparing satisfying and yummy meals can be a challenge. After a few months of surviving off of my mom’s and sister’s home cooking and frozen food from Trader Joe’s, I slowly started cooking on my own. 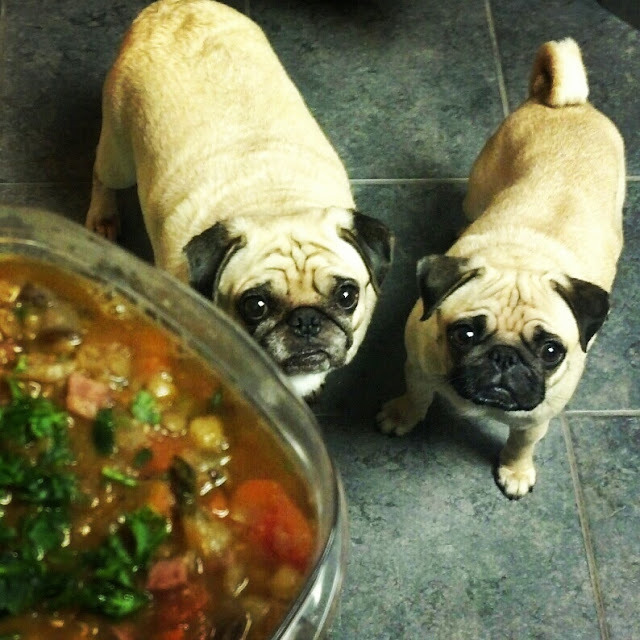 I started this blog because whenever I posted photos of food I cooked/baked with my fabulous pug models, Sunny and Rosy, I would get recipe requests. I was always happy to provide the original recipe sources but I often had adjustments and substitutions to recommend. I am also going to use this blog to post food and recipes partly for a selfish reason. 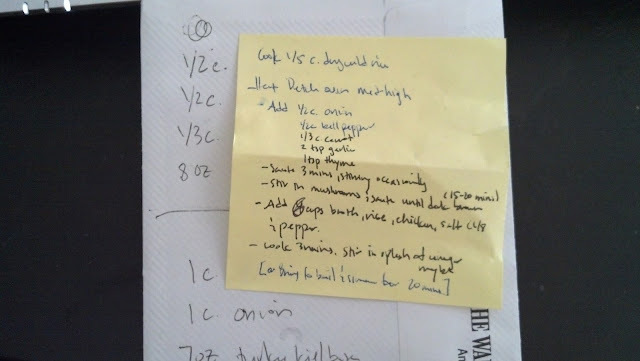 I am terrible at organizing and keeping recipes - I sometimes use cookbooks, other times I use my tablet for online recipes, and I often just scribble basic instructions on the backs of my junk mail envelopes. I wanted to have a place where I could keep all my recipes together, formatted the way I like, and with my notes/comments. I’m going to start out with some old recipes I have and so I won’t have as many photos for the early posts, but going forward I’ll be sure to include more. If you have any suggestions for substitutions or tweaks to any recipe please let me know by adding a comment! I find that my best meals from online recipes are those that I adjusted based off of readers’ comments. I’ve learned that the best method for me is to plan my meals a week in advance, make a grocery list, get everything on Sunday, and then prep as much as possible before Monday. I take lots of shortcuts and do all sorts of things that I’m sure many chefs and food bloggers would shudder at like using frozen chicken. But in the end I needed to find a way to make meal prepping manageable for me so that I wouldn’t just flake off after a few months and start living off of frozen meals and ramen again. Another challenge is that I live by myself and have very little portion control willpower. I eat until I’ve decided I’m done eating (I swear there’s something in my genes where we don’t register fullness or we do and we just don’t care). Most recipes are designed to feed a family so that makes things a bit difficult. But the average serving size is piddly for an eater like me and so I usually eat at least double the recommended individual serving and I have no qualms about eating the same food 2-3 days in a row. In fact, it makes it a lot easier for me because that means I only have to really cook a few days a week. So I'll post the general recommended serving size for point of reference but will note how I use them (keep in mind that I like eating large dinners and will often just eat for dinner a big portion of my entree, and no sides). I hate the standard recipe format of listing the ingredients and amounts at top, and then having the instructions at the bottom, saying things like “Add the first five ingredients.” I don’t know why but I just have such a hard time going back and forth between the ingredients list and the instructions so I like to combine them so that the instructions make specific references to the ingredients and the amounts. I love all kinds of meat, but I don’t cook all kinds. I’m still learning. I love Trader Joe’s and get most of my ingredients from there. I’ll note specific ingredients I get from there to the extent it’s helpful. I almost never use butter when frying up veggies and usually use Trader Joe’s olive oil spray instead. I like my food spicy! I love cracked black pepper and Tabasco sauce and will add them as finishing touches to almost anything. I love mushrooms and onions and will add them to a lot of recipes. I love bacon but I think turkey bacon has come a long way and tastes pretty darn good and is way less bad for you so I usually use that (I’m obsessed with Trader Joe’s peppered uncured turkey bacon). I love coconut and will often add it to my desserts. I go through crazes where I’ll be obsessed with making one kind of thing until I get tired of it (e.g., cookies, madeleines, donuts, soups). 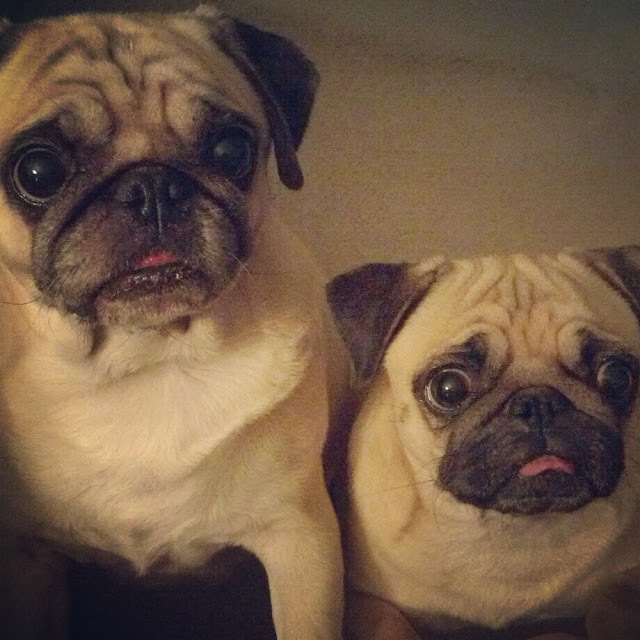 My pugs, Sunny and Rosy, will be popping up a lot in my blog posts and photos. OMG I just discovered your site through Buzzfeed and it combines my absolute two favorite things--pug photos and cooking. In all honesty I haven't read a full post yet but I plan to and have added you to my blog roll as well ( Balancing Active)! I've been following you on Pinterest for a while and when I saw the BuzzFeed article, I KNEW it was Sunny & Rosy. They are adorable!!! I have a pug too, but he is not so nice about food - he begs and barks and cries and begs and barks and cries, until he gets some!!! I didn't know about the blog though and will be getting some recipe ideas from you!! I have 3 pugs and I also have a food blog. LOL! I am adding you to my follow list. Longtime tumblr follower here, so glad Rosy & Sunny are finally getting the recognition they deserve! Keep up the great posts. Hi, I really enjoy following your blog and looking at the pictures! I'm currently living in NY for a limited amount of time and I was wondering where your favorite places to eat are. Check out my Pug-of-war design! My name is Joe Ann, I really liked a few articles on your site. I was wondering if you would allow me to embed a couple of articles from your site on one of my domain? You would get credited for all sales and all revenues. I might just get a few leads from the overlaid pop-up box. I'm going to drive traffic to your content using FB ads, you'll get entire page vision and the benefit of all the traffic. I love your pugs and just lost my puglove of my life after 12yrs with her.I know this is going to seem a very strange request but I have looked high and low for another and I don't know what else to do? ?So I hope that you don't mind me asking you where you got your pugs from?? I'm sorry but my heart is broken and I don't know what else to do.So I hope that you don't mind me asking you that.Thank you for your time and understanding. 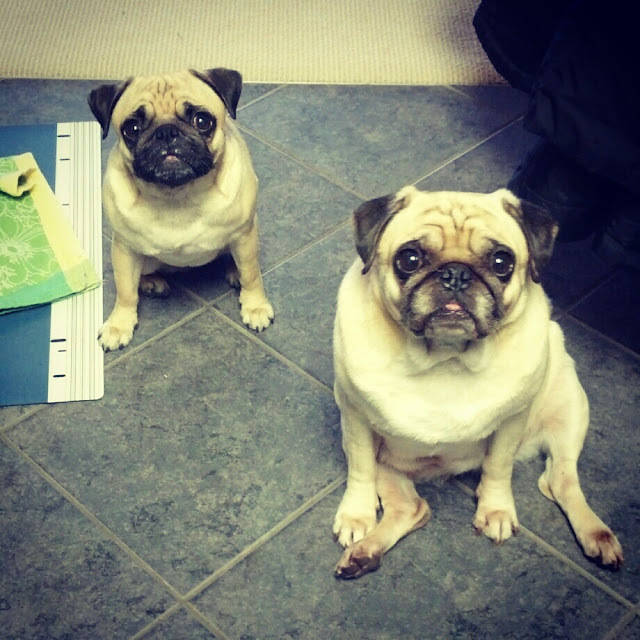 I just sent you a request about where you found your pugs because I just had to have mine put down and I see that it was sent by unknown?My email is 66lindaherman@gmail.com,So sorry about that.